This is a nice side dish for when you are serving salmon! 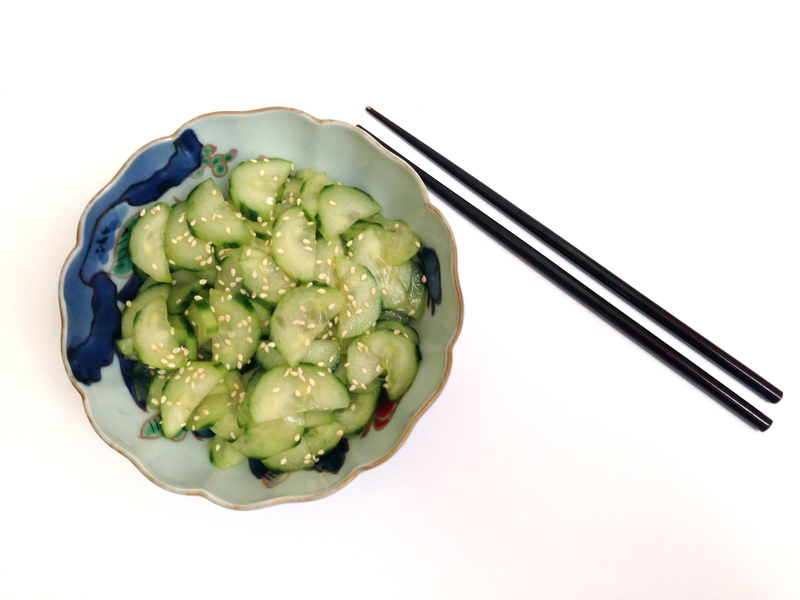 Place the sliced cucumber in a bowl and sprinkle it with salt. Stir well and set aside for a few hours to let the water come out of the cucumber. Rinse and drain. In a separate small bowl, whisk rice vinegar, Mirin, sesame oil and sesame chili oil. Pour over the sliced cucumber and mix well. Chill and drain before serving. Sprinkle with toasted sesame seeds. Serves 4.